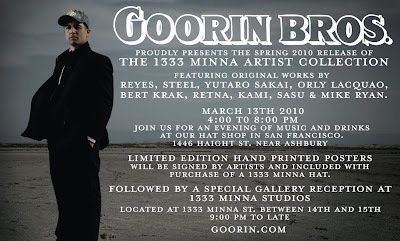 The 2010 spring release of Goorin Brothers 1333 Minna Artist Series hats is coming soon. There is going to be a whole day of events, and a big party/art show at the studio. Check out Goorin's hats here.